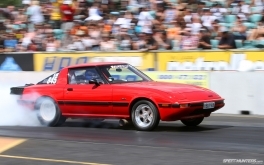 It’s a long time ago now, but I can still remember the very first 4&Rotary Nationals drag day. It happened in October 1998, and straight away you could tell from the turnout that the organizer was on to something big. It only took couple of years to find traction, and by the early ’00s it wasn’t just big – it was huge. Huge enough one year that traffic was forced to a standstill in a two-hour-long traffic jam on the main state highway out of New Zealand’s biggest city, Auckland. Things have changed since then. 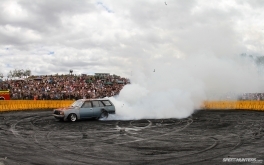 Although a reputed 14,000 spectators made it through the gates this year (which is up on recent years and a sizeable audience, all things considered), the ‘V’ 4&Rotary Nationals drag day is a shadow of its former itself. Thousands used to camp overnight, which although handy was a catalyst for trouble. One year it rained and come morning time the campground looked like the aftermath of Woodstock. That’s all changed now; there’s a relaxed atmosphere and you get the feeling that those who make the journey from all over the country for the event do so for the right reasons. 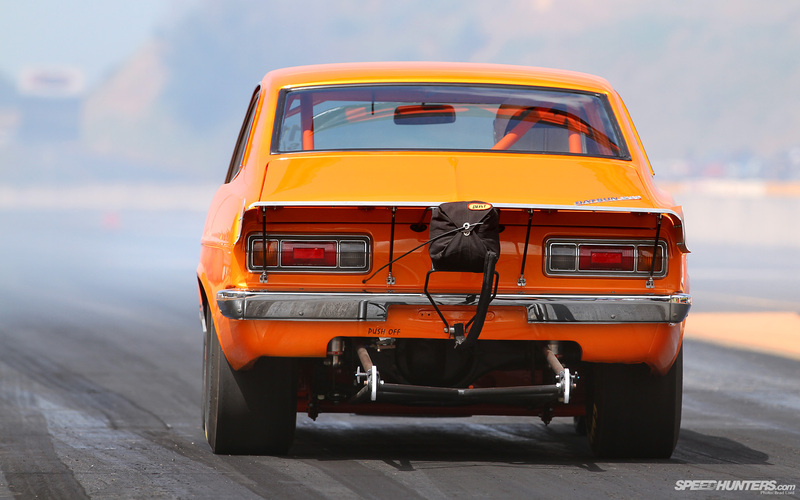 Time too has changed how quickly cars are getting down the quarter mile. 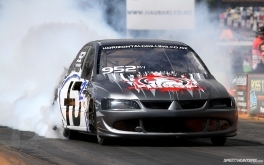 It wasn’t until 2000 that a Kiwi ‘import’ (an FD3S RX-7) cracked the 10-second barrier and figuratively opened the floodgates for many others to follow. Now New Zealand’s quickest are doing it in six. By far the most exotic car in attendance, this Lamborghini Gallardo was tech inspected, but didn’t run. Or at least I didn’t see – or hear – it run. 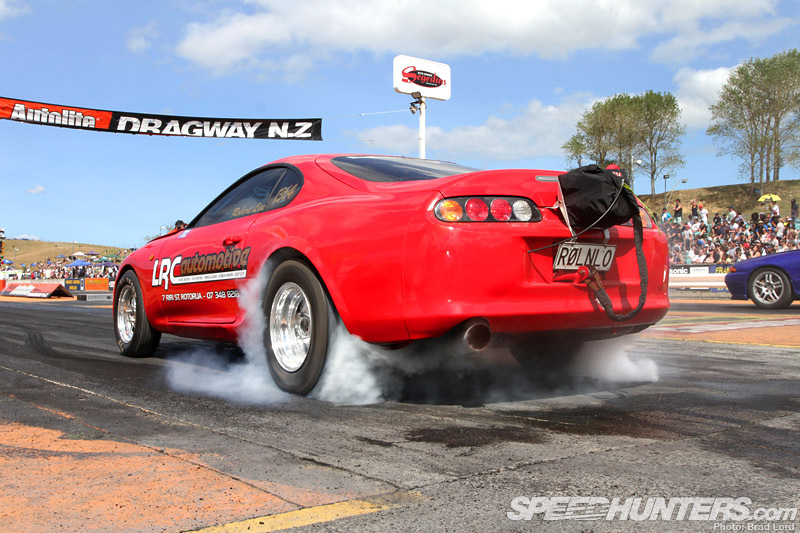 The Nationals is the one event where you’re guaranteed to run in to some of the more recognizable names in New Zealand’s sport compact drag racing scene. 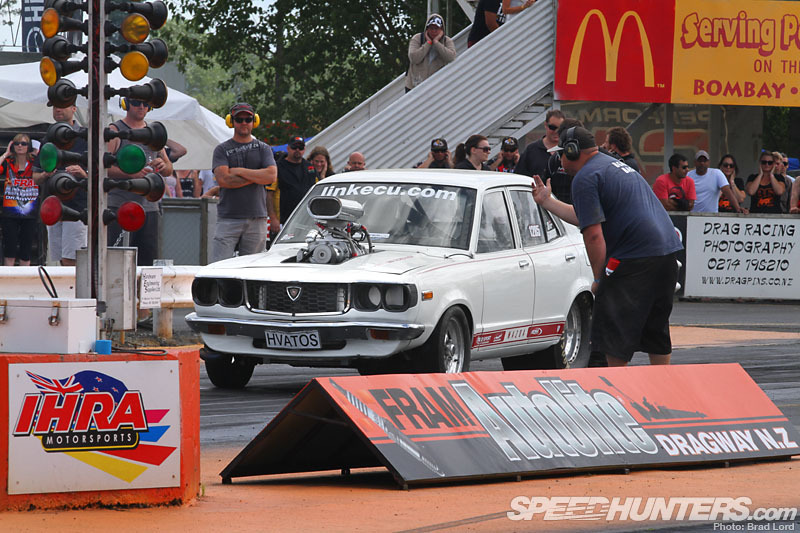 With his full tube-frame chassis RX-8 still in the build, Tony Markovina brought his eight-second RX-3 out to play. 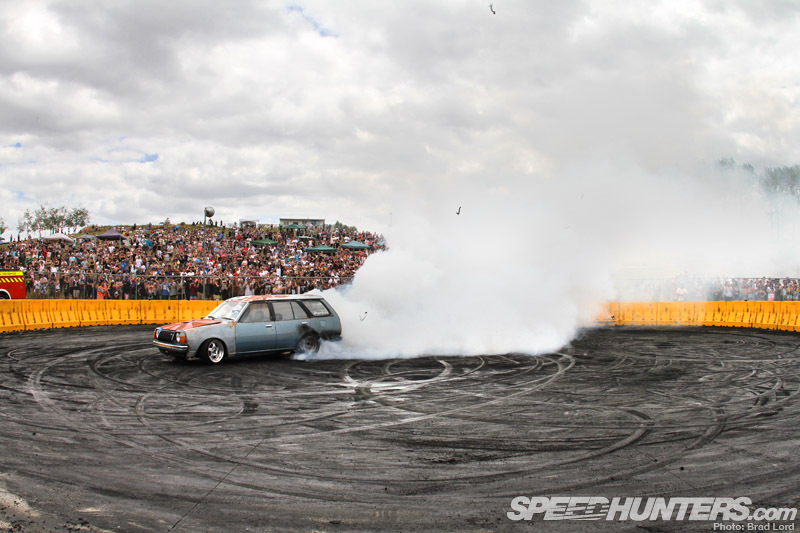 The four-door chassis normally runs a methanol-fuelled turbo engine, but for the 2013 Nationals Tony decided to have a bit of fun. 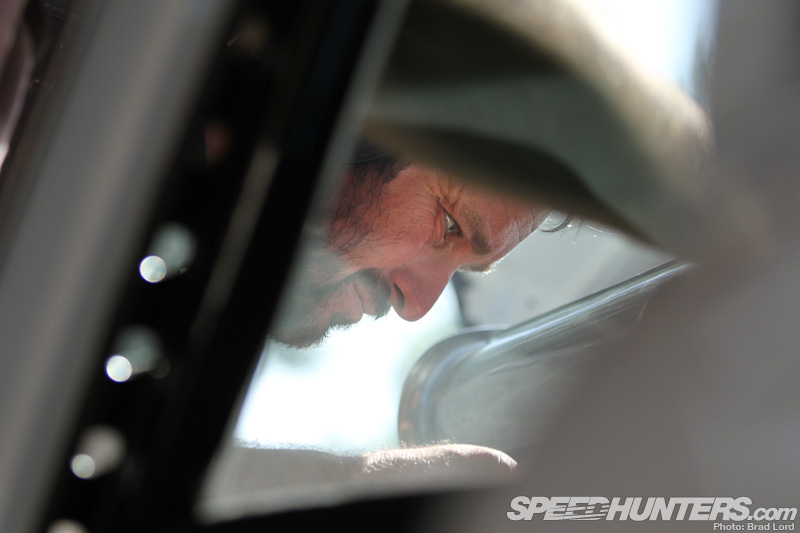 A week out from the event he found what he was looking for in a big ol’ supercharger, which was promptly fitted upon the 13B. 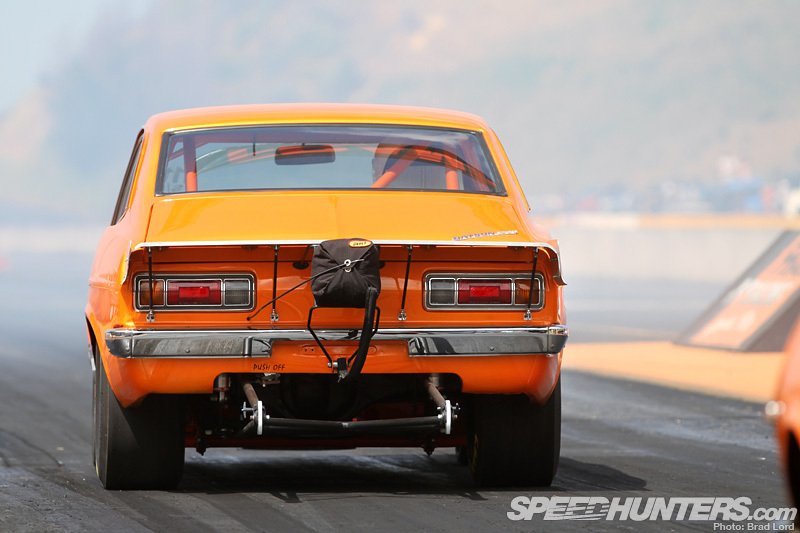 I’ve heard some loud rotary-powered drag cars over the years, but nothing quite like the assault on the eardrums that the RX-3 provided. Even coming into stage at idle-RPM people were plugging their ears! 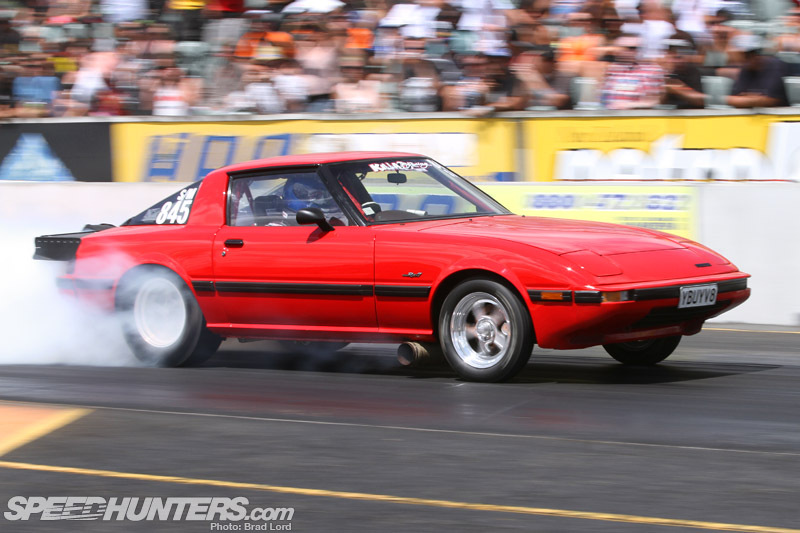 Tony wasn’t driving his Mazda on the day, but he was back behind the wheel of the Maz-Sport FC3S RX-7; a car that’s been around since the very beginning of sport compact racing in New Zealand. It’s still very much a work-in-progress though. As you can see, the methanol 20B three-rotor engine is a serious piece of work. 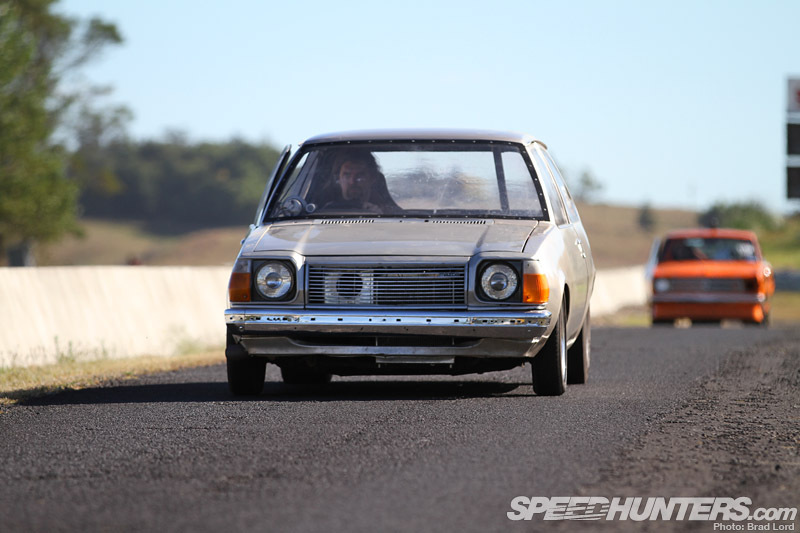 The car’s owner, Brian Connell, and this gentleman – Kevin Elmsly – are both stalwarts of the Kiwi rotary tuning scene, so it’s great to see them still in the thick of it. 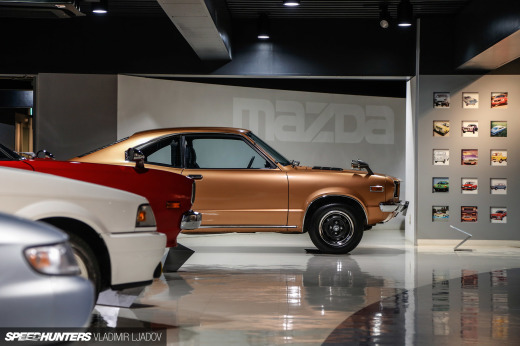 Kevin began tuning rotaries over 40 years ago when the first RE-grade Mazda models arrived in the country. 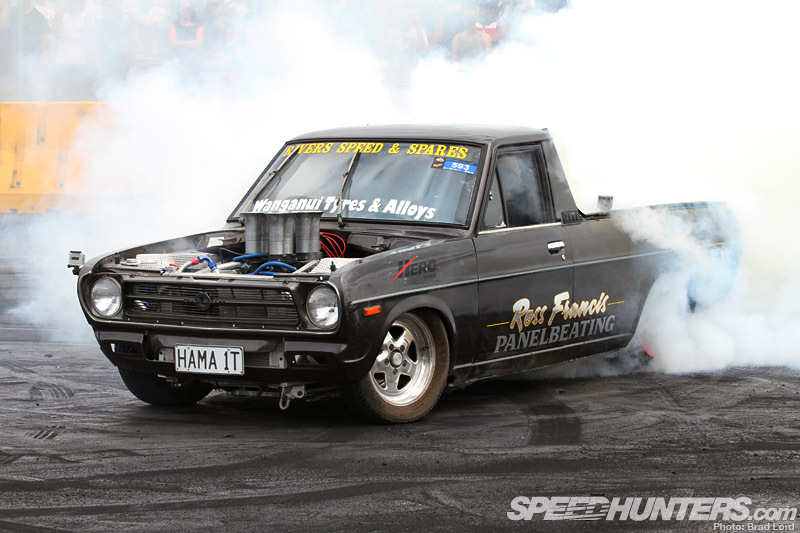 He then helped set up Rotorsport – New Zealand’s first specialized rotary performance workshop – and even built a prototype four-rotor motor way back in 1980. 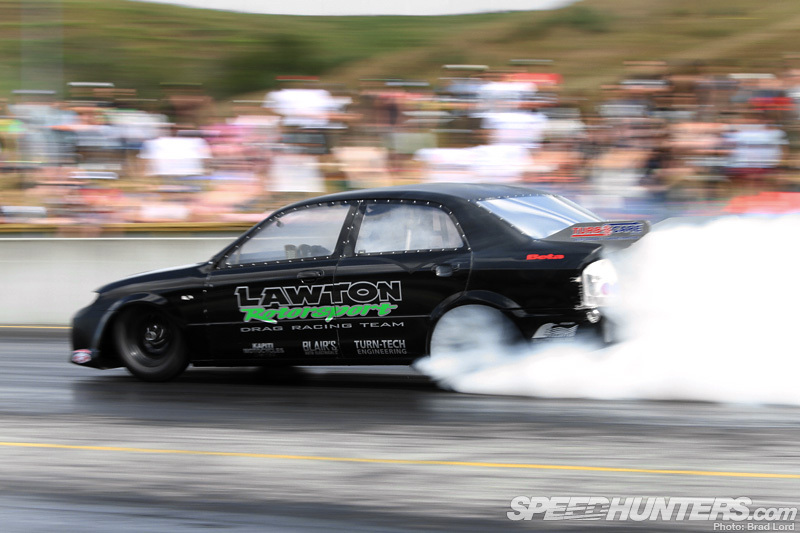 The Lawton Rotorsport tube-frame 13b turbo-powered Mazda SP20 was on fire (not literally! ), running a 1.06-second 60-foot. 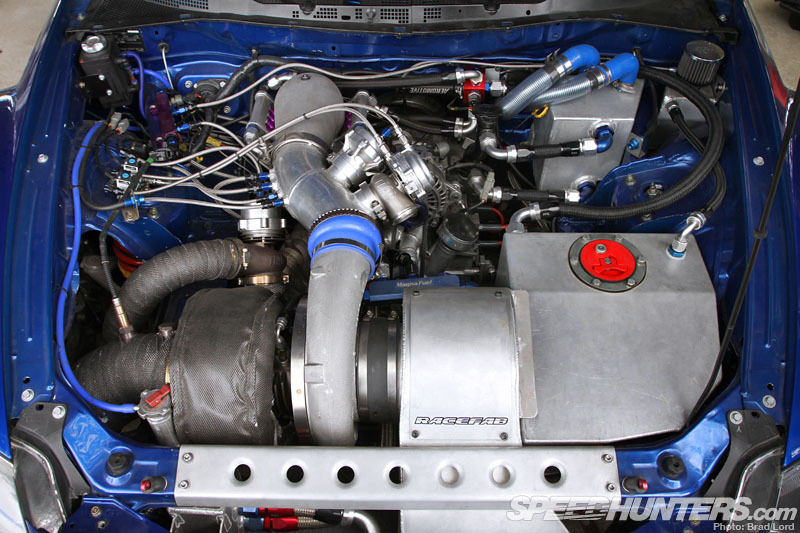 …but it’s come prepared, packing a serious 13B turbo package under the hood. 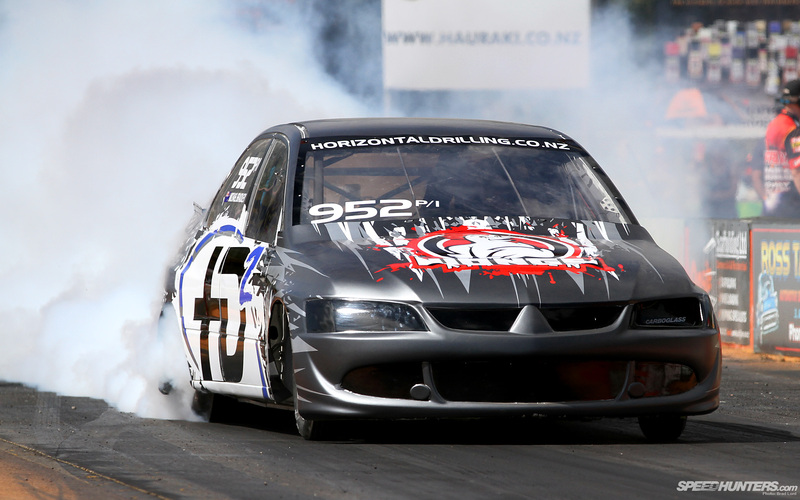 The blown VH45DE-powered Thrill Performance Skyline has run seven seconds before, but the team had mechanical woes at the Nats which saw it resigned to the pits. 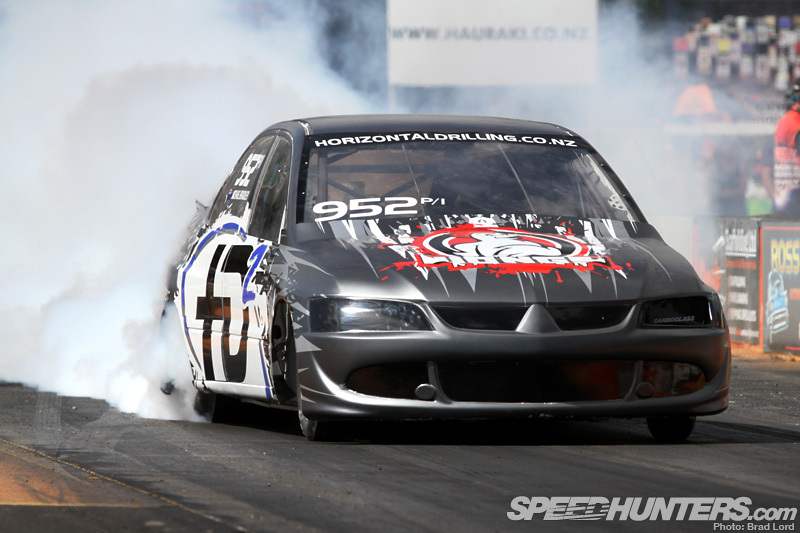 New Zealand has bred many quick Mitsubishi drag cars over the years, and it’s good to see the tradition continuing. 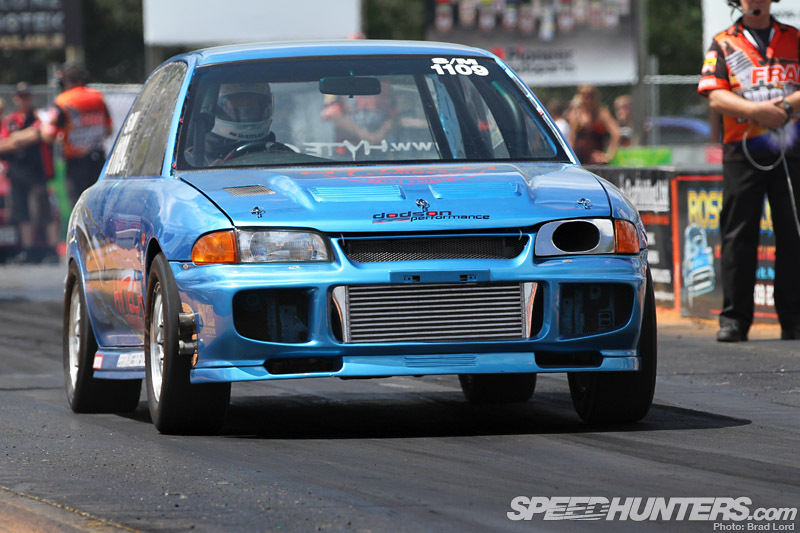 Hytech Engines’ car is an original Lancer Evolution model putting more than 650hp to all four wheels. This Mitsubishi Lancer GSR five-door lift-back used to run a 4G63 in regular east-west configuration and four-wheel-drive. Now its gunning for eight seconds with the engine turned 90 degrees and a rear-wheel-drive chassis set up. 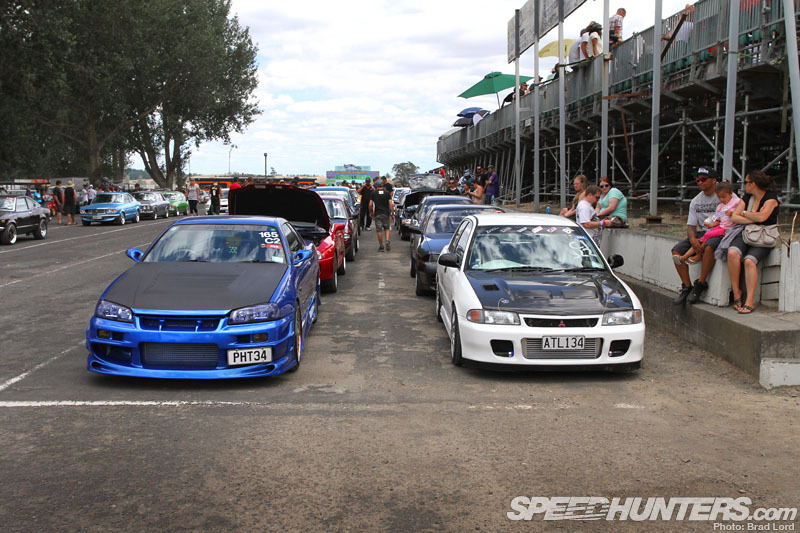 With just a couple of seasons under its belt, the HD2 tube-frame Lancer Evolution is another relatively new car on the New Zealand scene. It’s definitely stamped its authority though, having recently run in 7.81s at 171mph (275kph). A blown head-gasket on the first pass of the day caused a few headaches in the pits; but the crew replaced it and the car came back out to run a string of eight-second passes. 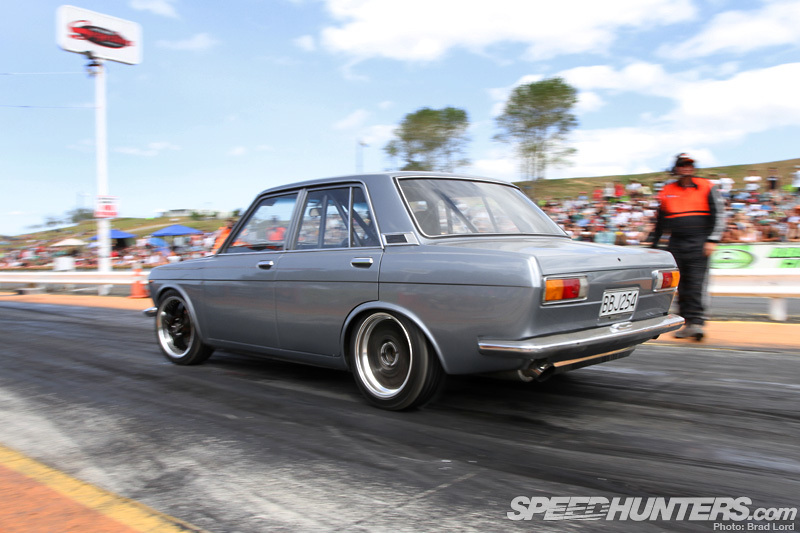 Another car running in the eights was the NZ Car Parts Datsun B110 coupe. 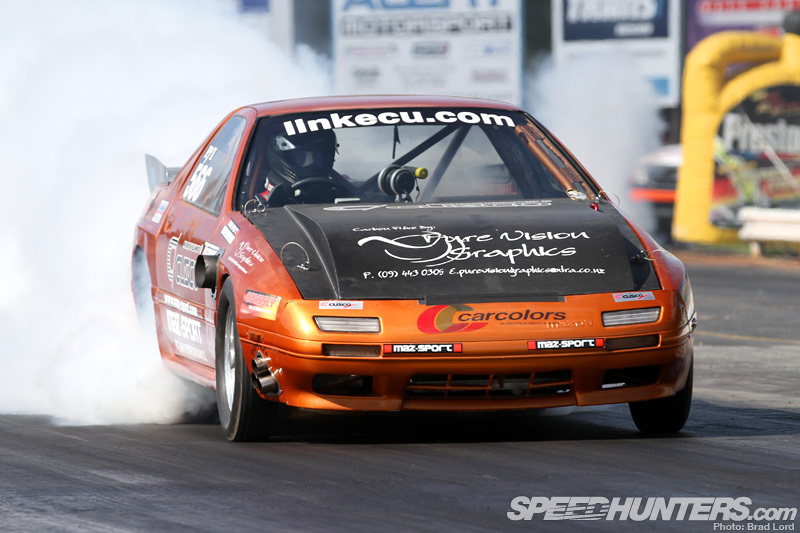 800 horsepower to the rear tires from its SR20DET gets the job done. 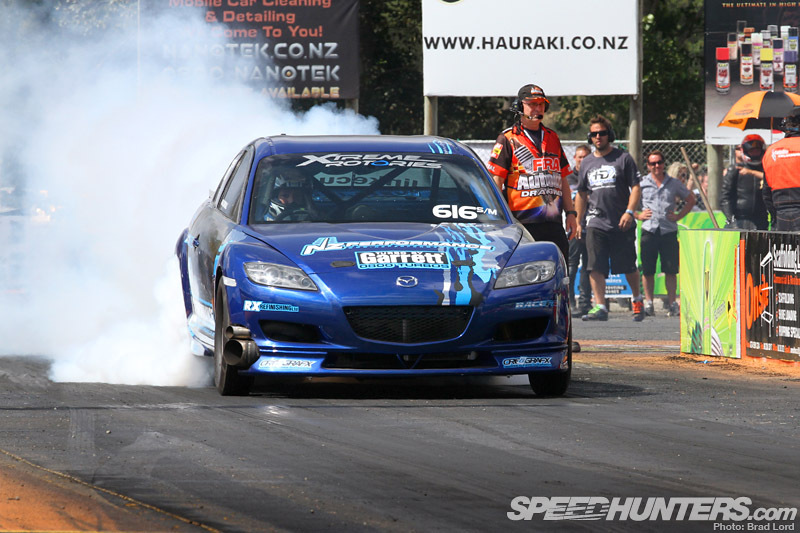 In stark contrast to its six-second Mazda RX-2, Curran Brothers Racing’s (CBR) Mazda 323 is a basic build that relies on a naturally aspirated 13B on methanol for motivation. But in that guise it’s already run a very respectable 11.23s at 120mph (193kph). Tens are only a matter of time. 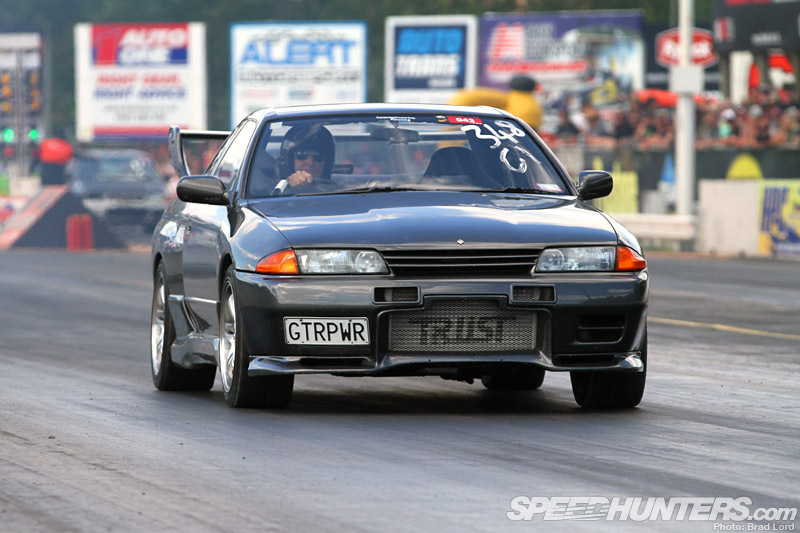 I don’t think there’s been one sport compact drag racing that I’ve been to that Dave Duncan’s GT-R hasn’t been running. 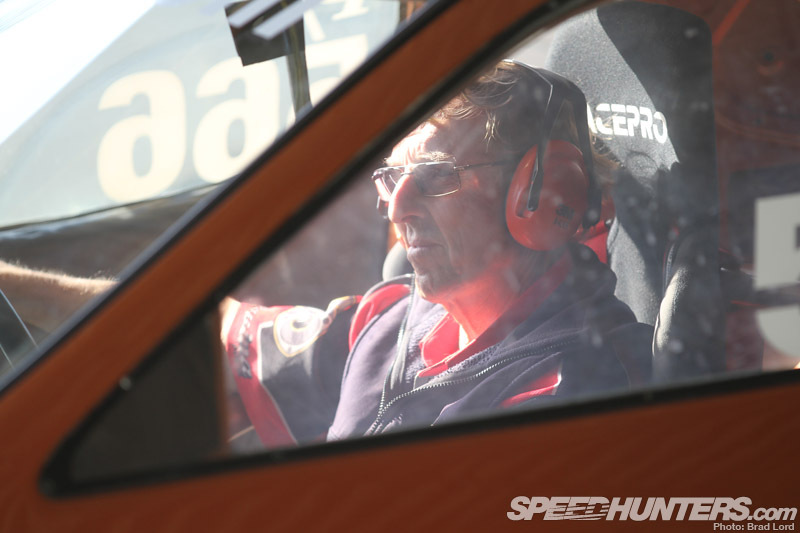 It’s an ever-consistent 10.9 to 11.1-second performer, and 100 per cent road legal. 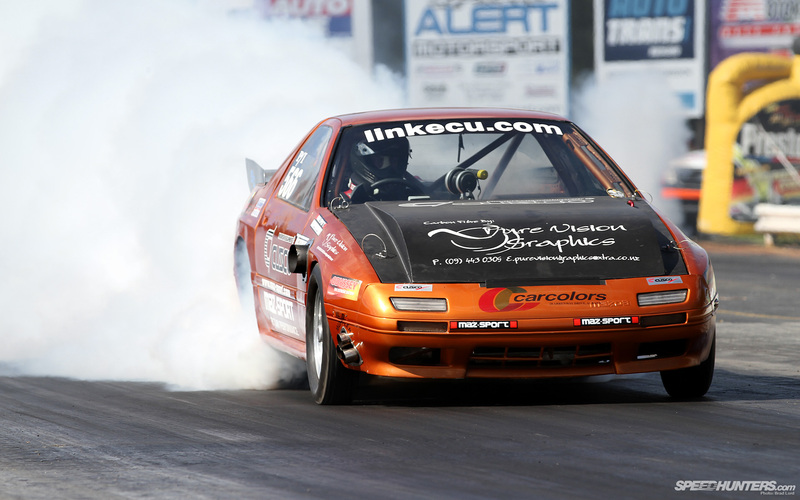 Low nine-second passes are a cinch for the 2JZ-powered LRC Automotive Supra. 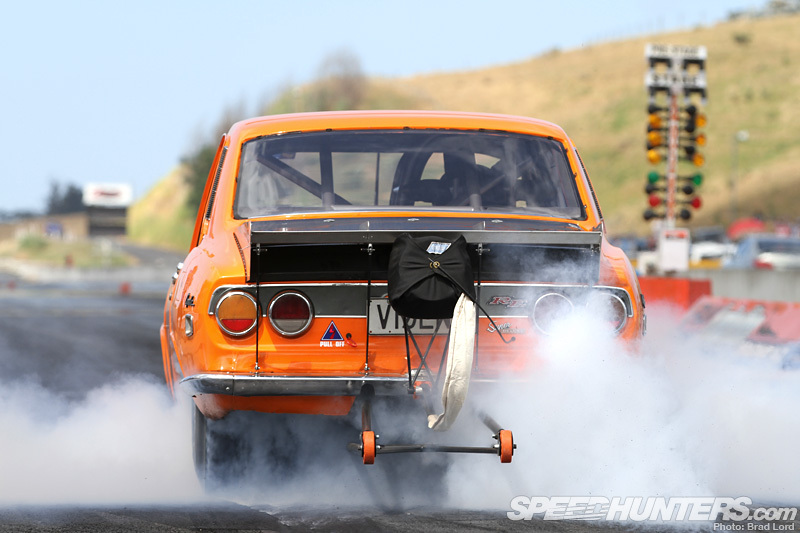 This CBR-built RX-4 ran a new PB at the Nationals, and rewrote the unofficial New Zealand 28×9″ tire record in the process. The black-on-black machine gets down the strip in 8.13 seconds. One thing’s for certain: there was definitely no shortage of cool cars. 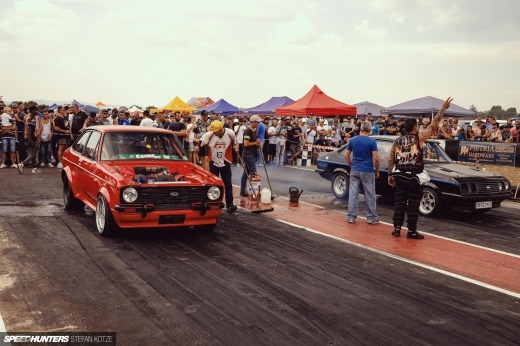 And bar doing its engine on the start line, this newly rebuilt RX-2 four-door was definitely one of them. I can’t wait to see this thing out and running again soon. In between all the on-strip action, Fram Autolite Dragway’s Bridgestone Scorched Earth burnout pad was getting another layer of rubber applied to it. The ultimate goal, of course, was tearing tires to shreds. Tire pops equal big points. 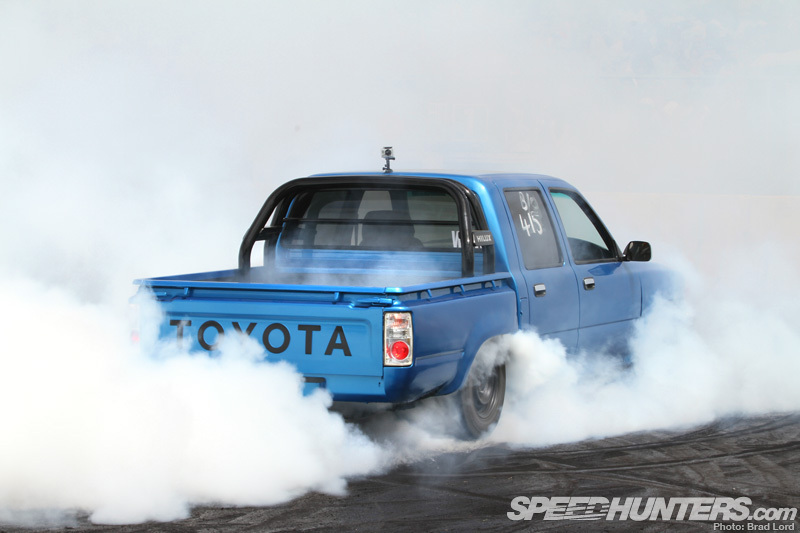 …As was this Hilux, which I believe was V8-powered too. The Toyota/Lexus 1UZ-FE 4.0L V8 has become a common upgrade for this particular model. Less run-of-the-mill was this 1970 Morris Mini Clubman Estate, which features a tube-frame chassis, tubbed rear end and a naturally aspirated rotary engine up front. 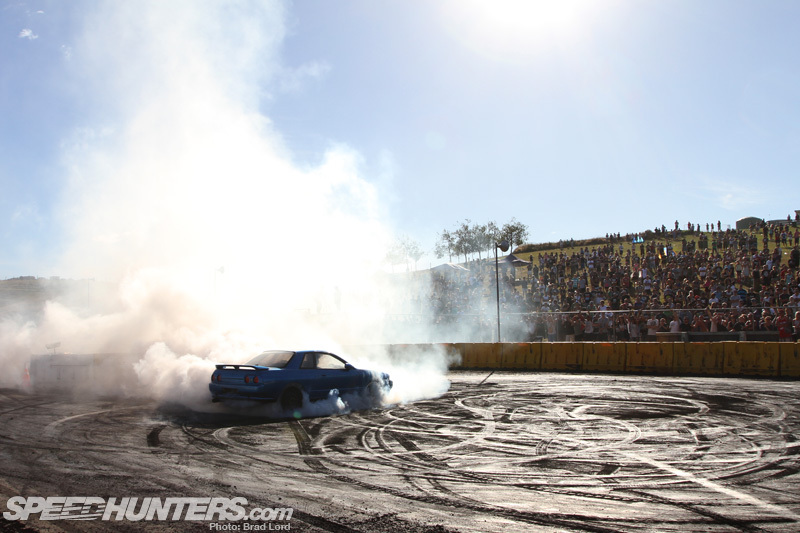 Who doesn’t love a good skid on a hot day? The Nats crowd definitely did. 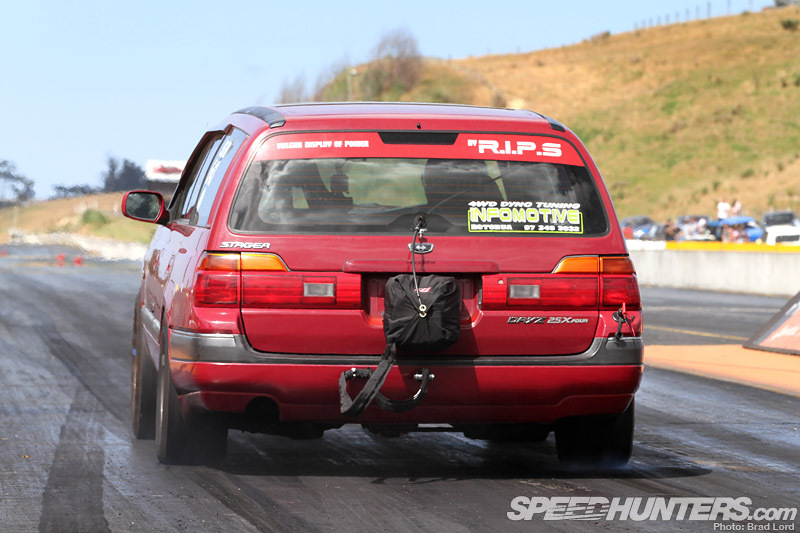 Before I wrap things up I absolutely have to show you RIPS (aka Rotorua Import Pro Shop) ’97 WC34 Nissan Stagea DAYZ 25X Four. 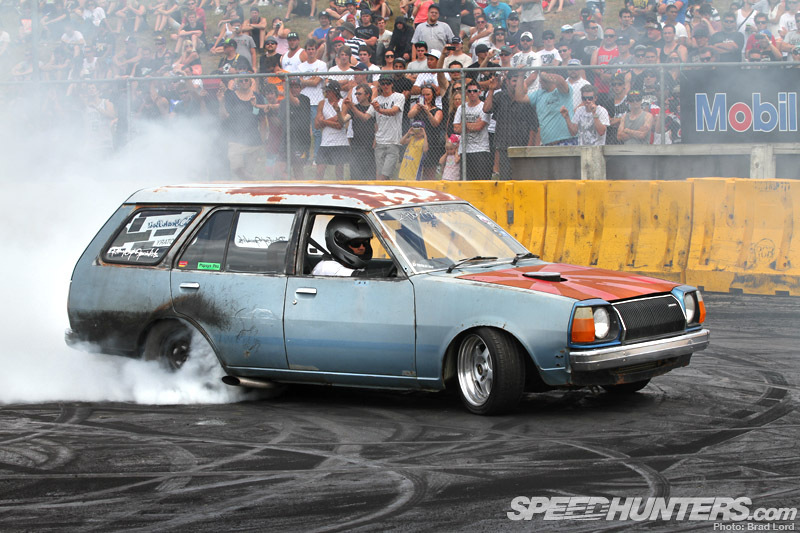 For its Nissan-tuning prowess – or more precisely vicious custom RB30 builds – RIPS has made an international name for itself. But it’s a company that never follows convention, and that’s at least partially the reason why it chose an oversized and overweight station wagon for the basis of a crazy drag project. Its codename: MGAWOT. A ‘megawatt’ equals 1,000 kilowatts, which equals 1,341 horsepower – which is what this build has not only set out to achieve, but better. RIPS is doing it with one of its RB30-based builds, complete with a gigantic turbo and enough NOS to make Brian Spilner proud and/or blow the welds on the intake. 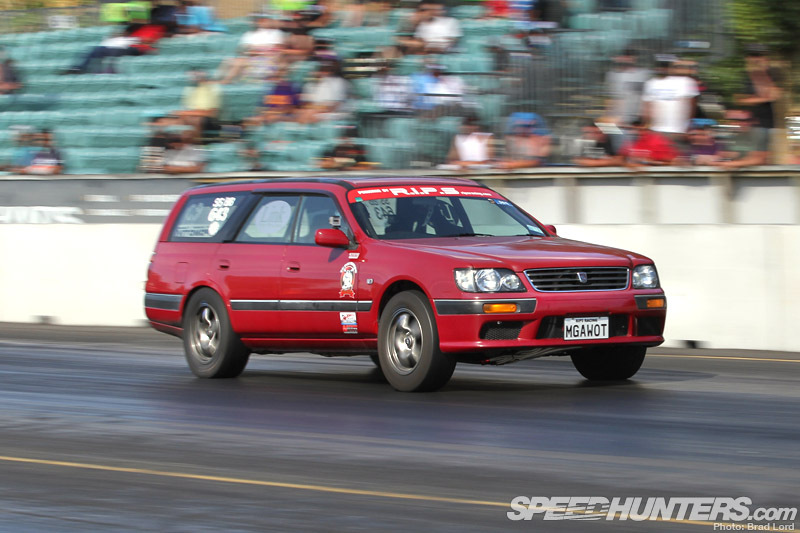 On what was only its second time at the strip since being built, and on nowhere near full power, the Stagea went 8.82 at 160mph (257km/h) on a lazy 1.49-second 60ft. It also weighs 3,850lb (1,745kg). Believe me when I say that it was a sight to behold! 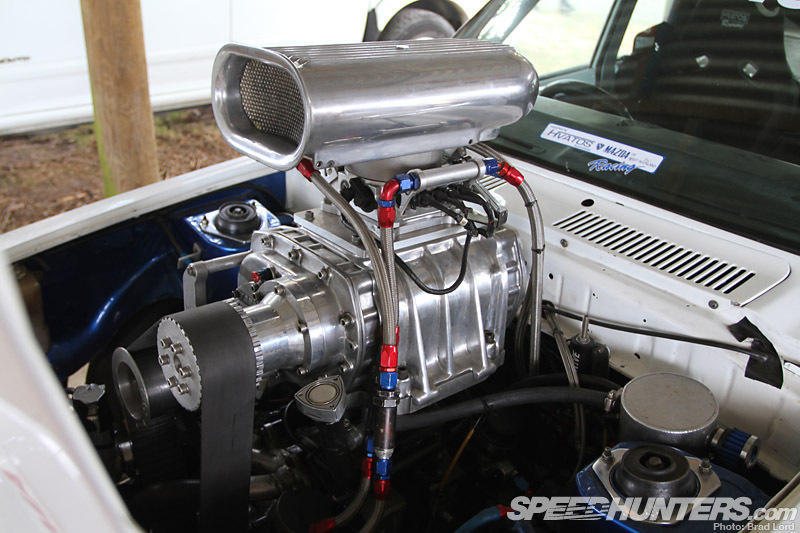 "and enough nos to make Brian Spilner proud and/or blow the welds of the intake." - LOL! Love the picture's to. 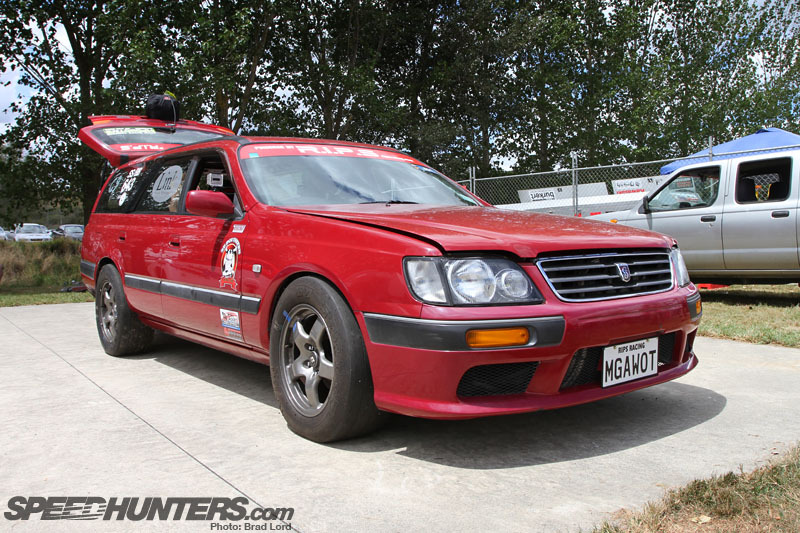 Please tell there is going to be a full post/article on the stagea? Or anything coming from R.I.P.S.? Broken record here, but holy sweet mother of God that Stagea is amazing. I see those suckers cruising around every now and then and just can't help but dream a little about actually owning one.. The n/a RX2 is a proper sleeper. 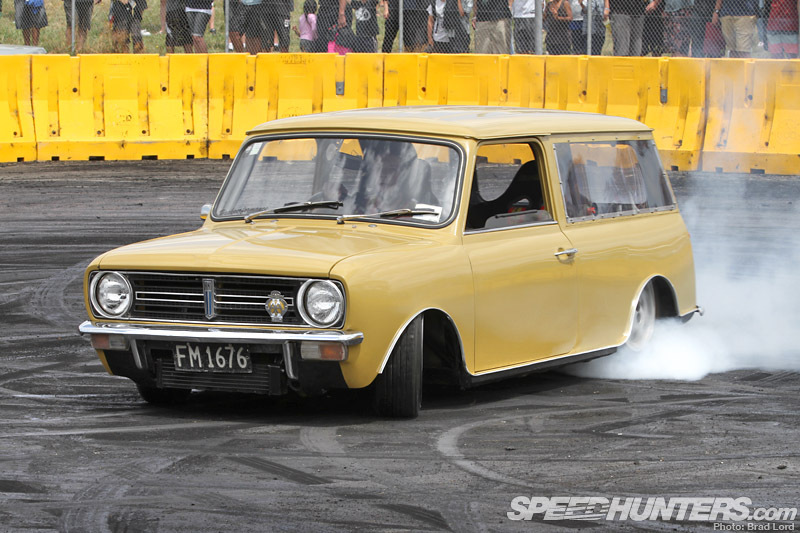 And the mini clubman is somethin else. Woah, kiwis are definitely going crazy with every next event, so much awesomeness from the guys down under, those are some real BEAST machines!